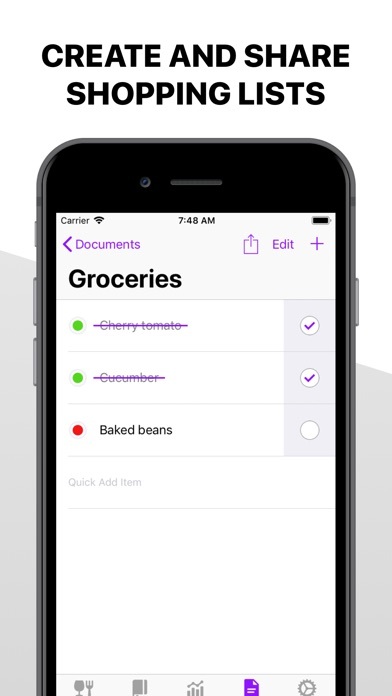 Kompatibilität: Benötigt iOS 11.0 oder neuer. 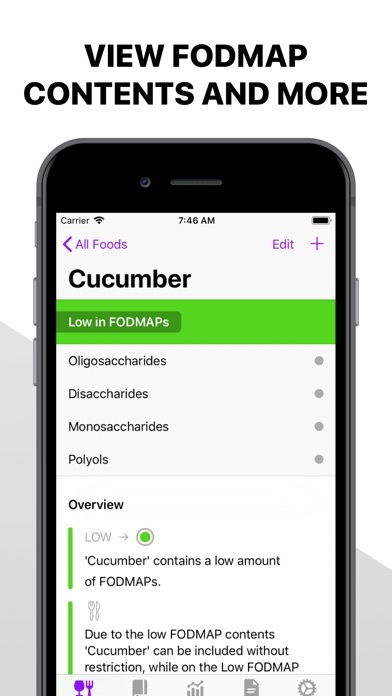 FODMAPLAB is the perfect companion app for Low FODMAP dieting. 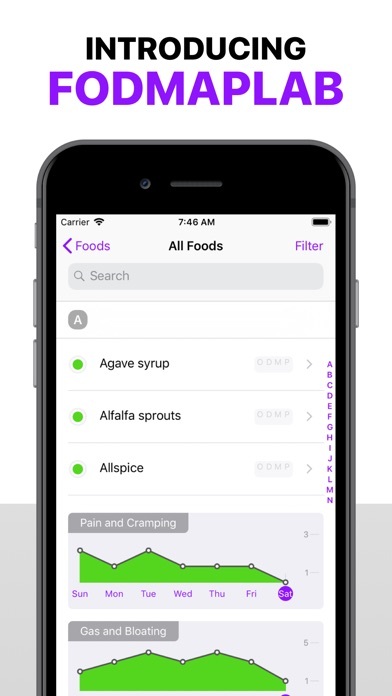 Easily lookup foods and their FODMAP contents, record your experiences and symptoms, and keep track of how your symptoms change over time. 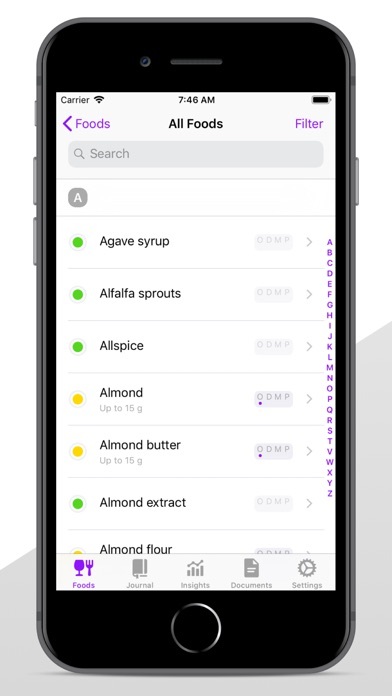 Easily lookup your favorite foods: - Learning about foods and their FODMAP contents has never been easier. 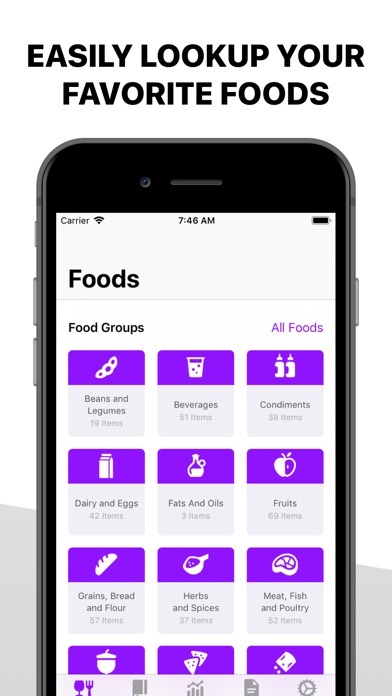 FODMAPLAB lets you search a wide variety of foods, use and combine filters, and browse through categories and collections of foods. 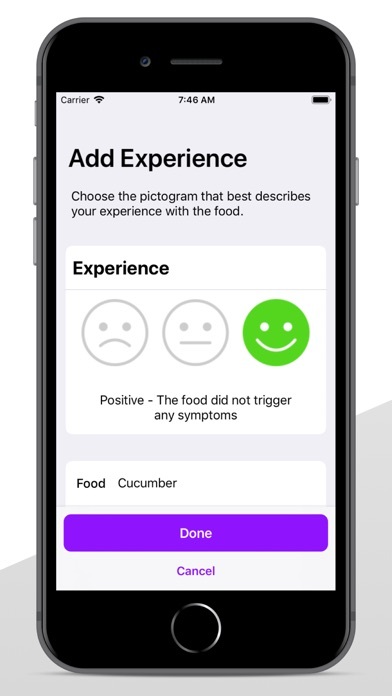 - For each food we provide you with an overview of its FODMAP contents, portion size guidelines (for foods moderate in FODMAPs) and a summary of your past experiences with the food. 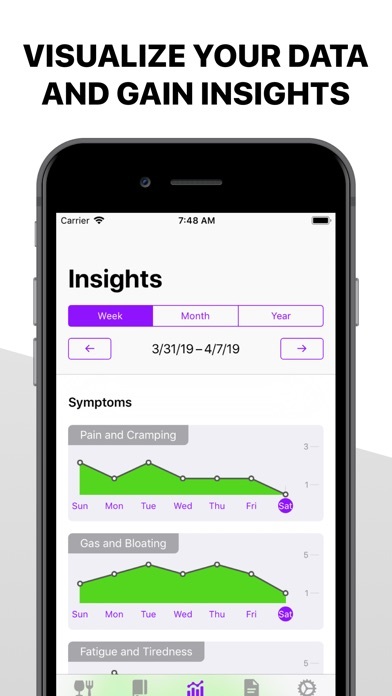 Track symptoms with the journal: - The journal is designed to help you easily record your daily symptoms. 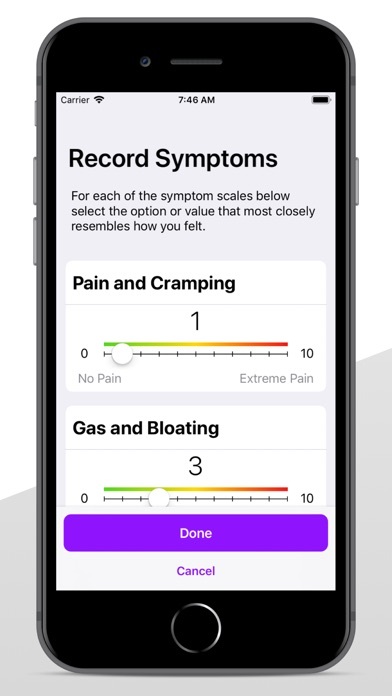 You can record symptoms in categories like 'pain and cramping', 'gas and bloating', and 'fatigue and tiredness'. 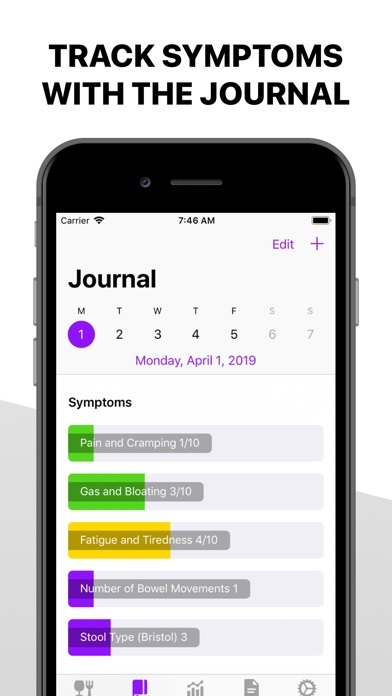 - In addition to symptoms you can also add notes and food experiences to your journal. Visualize your data and gain insights: - We provide you with beautiful graphs and key statistics based on the data you record in the journal. 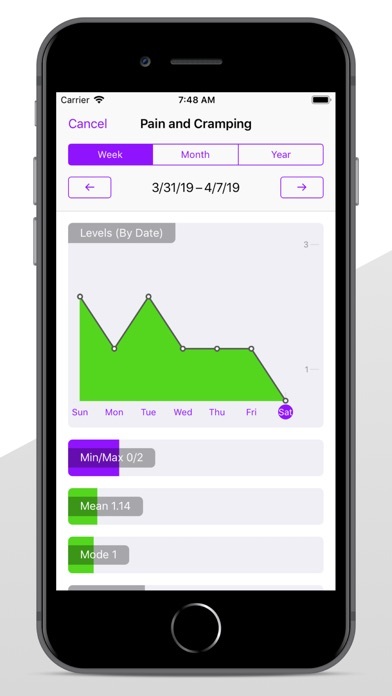 - Following the development of your symptoms over time will help you understand your progress, and the impact of your dietary choices. All the while keeping your data private: - We never send your data to our servers - the app has been designed to function 100% offline. - We only store data on your device. It is then your choice if you want to share or take backups of your data.